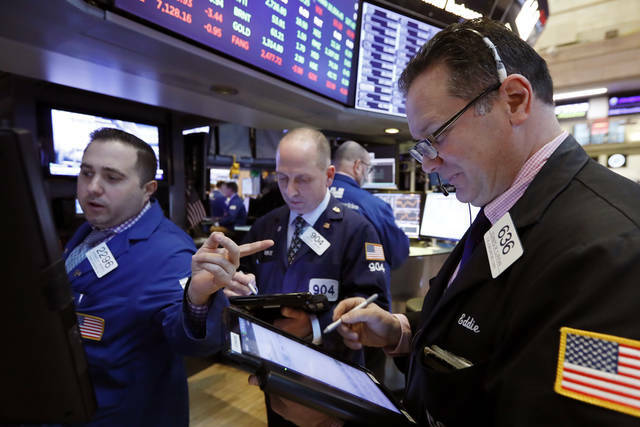 NEW YORK (AP) — U.S. stocks finished broadly higher Tuesday as investors grew more optimistic about the prospects for a resolution to the costly trade dispute between the U.S. and China. Technology, financial and health care stocks powered much of the rally, which gave the benchmark S&P 500 index its biggest gain this month and a three-day winning streak. The wave of buying also drove a 372-point gain for the Dow Jones Industrial Average, ending the average’s four-day run of losses. Stocks got an early boost Tuesday after lawmakers in Washington reached a tentative deal to avoid another partial government shutdown. The agreement on border security involves far less money for a wall than the White House wanted, and it’s not clear whether Trump will support the deal. “Overall earnings are good, but we’re looking for a bit of a slowdown in the first quarter because we have a high bar to hurdle over,” Cavanaugh said. Under Armour climbed 6.9 percent after the maker of sportswear beat Wall Street forecasts. A surge in international sales offset a downturn in Under Armour’s U.S. sales. Traders bid up shares in Coty Inc., maker of CoverGirl, Max Factor and other cosmetic brands, after German conglomerate JAB Holdings offered to take a majority stake in the company. Coty’s shares jumped 12.5 percent. Technology stocks helped power the market’s gains Tuesday. Micron Technology climbed 4.7 percent. Financial companies also notched big gains. Brighthouse Financial surged 13.9 percent.